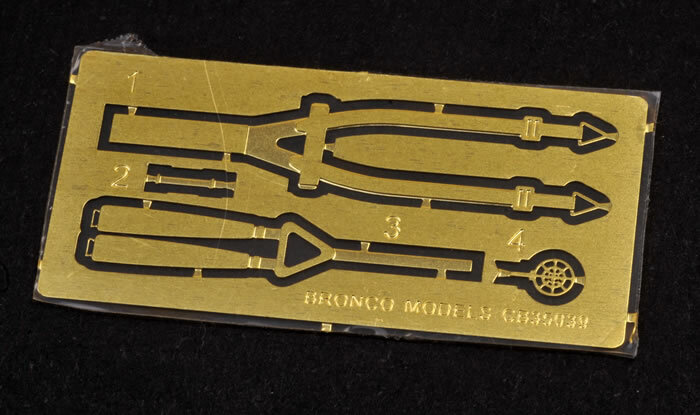 92 parts in light grey plastic; 20 parts in clear plastic; photo-etched fret with four parts; one decal sheet covering six subjects. 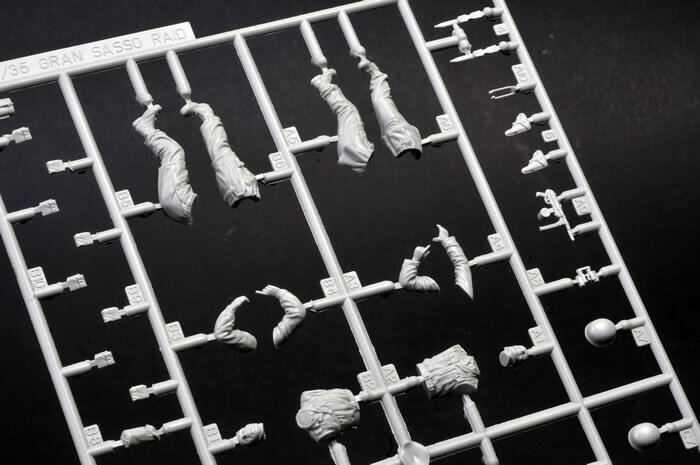 Additional 84 parts from Dragon for four Fallschirmjager figures and weapons. 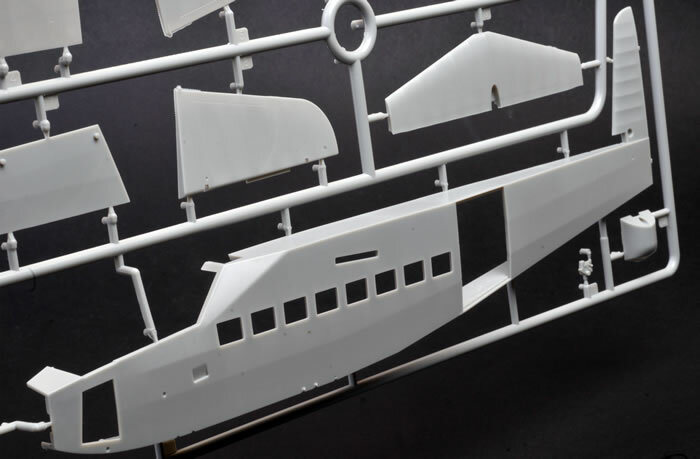 Subtle and convincing fabric texture; high level of detail including full interior; poseable doors, flaps, elevators and rudder. The yellow of the decals looks a bit pale and the orange is very slightly out of register. 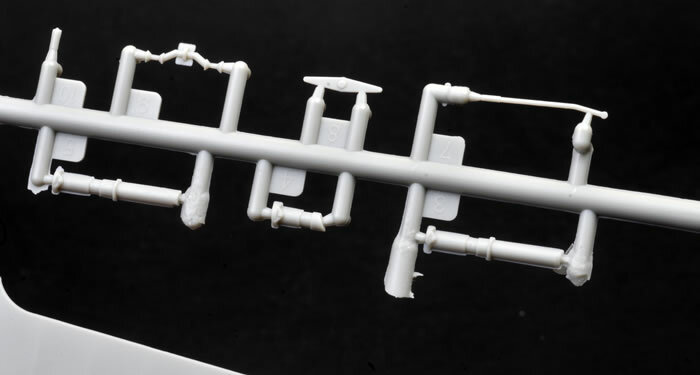 This is a very nicely done kit of an important assault glider. 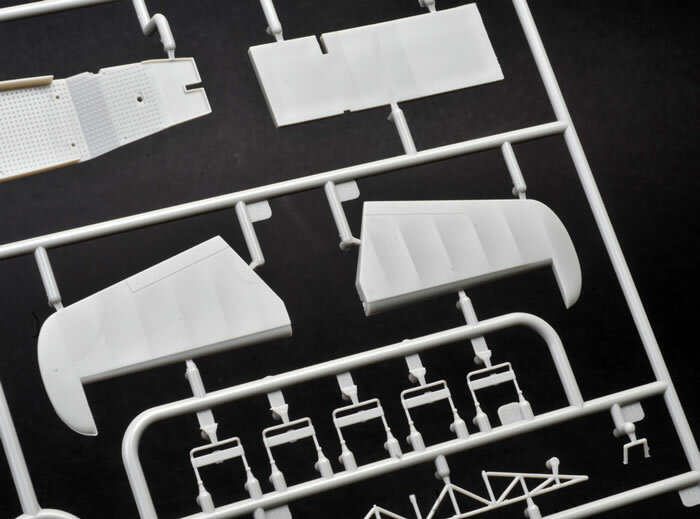 In 1/35 scale, it is an ideal crossover subject for military and aircraft modellers. The finished kit will be impressive but not so massive to be unwieldy in assembly or impossible to display. It is a Goldilocks size - just right! The DFS 230 was a German transport glider operated by the Luftwaffe in World War II. It was developed in 1933 by the Deutsche Forschungsanstalt für Segelflug (DFS - "German Research Institute for Sailplane Flight") with Hans Jacobs as the head designer. The glider was the German inspiration for the British Hotspur glider and was intended for paratrooper assault operations. In addition to the pilot, the DFS-230 glider had room for nine men who sat close together on a narrow bench located in the middle of the fuselage (half facing port, half facing starboard). Entry and exit to the cramped interior was by a single side door. The front passenger could operate its only armament, a machine gun. It was an assault glider, designed to land directly on top of its target, so it was equipped with a parachute brake. This allowed the glider to approach its target in a dive at an angle of eighty degrees and land within 20 metres (60 ft) of its target. It carried a freight cargo of about 1,200 kg. By means of a cable running along the tow rope the pilots of the tow-plane and of the freight glider were able to communicate with each other which made blind flying possible, when necessary. The towing speed of the DFS-230 was approximately 190 km/h (116 mph). It dropped its landing gear as soon as it was safely in the air, and landed by means of a landing skid. The DFS-230 could be towed by a Ju-52 (which could tow two with difficulty), a He-111, a Ju-87, He 126, a Bf 110, or a Bf 109. The Ju 52 towed the glider using a 40 metres (131 ft) cable or, in bad weather, a much shorter rigid bar connected by an articulated joint to the tow aircraft. The DFS-230 had the highest glide ratio of any World War Two military glider other than the Antonov A-7. This was because it was thought that the glider had to be capable of a long approach during landing, so that it could be released a considerable distance from the target so the sound of the towing aircraft did not alert the enemy. 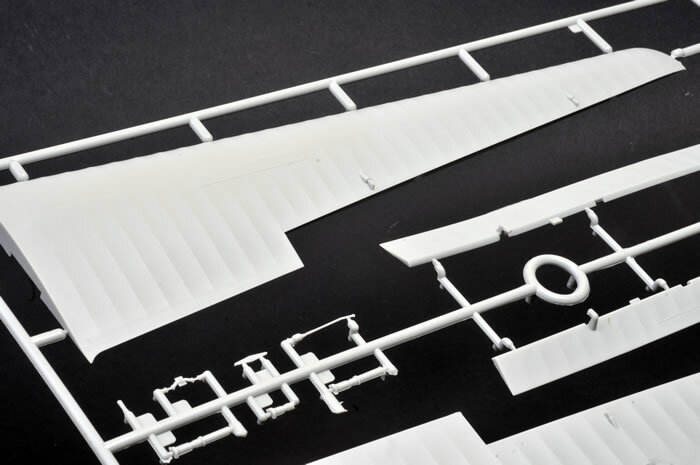 Bronco's 1/35 scale DFS 230 B-1 Light Assault Glider comprises just 92 parts in grey plastic, 20 parts in clear, one photo-etched fret with three parts and a decal sheet with four Luftwaffe and two Romanian options. 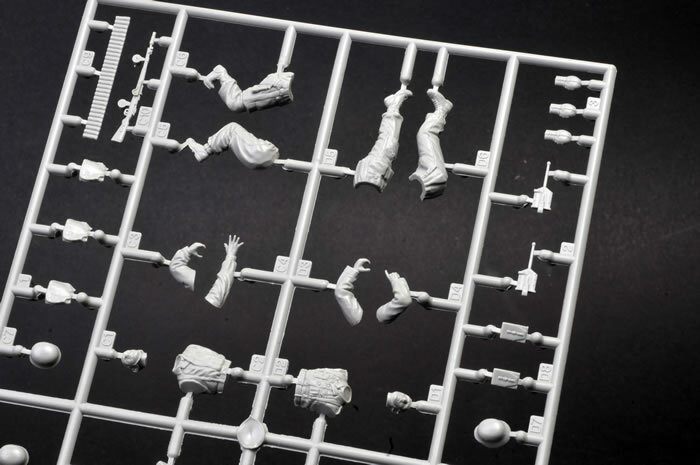 An additional 84 parts are incuded with four Fallschirmjager figures in action poses and weapons. The model features full interior detail. The three fuselage hatches may be posed open to display the seat and structural features. 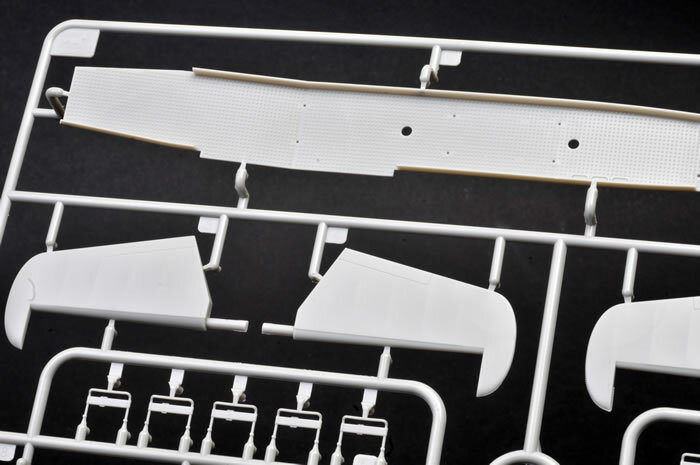 Fuselage framing is supplied as separate parts. The pilot's instrument dials are supplied as individual decals to be applied over the moulded bezels. The long bench seat is supplied in plastic, as are the mounts and the short backrests offered on the photo-etched fret. 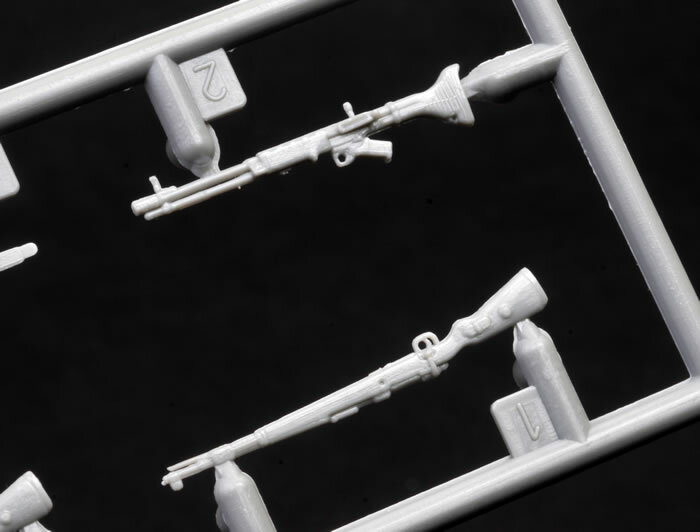 The photo-etched fret supplies a harness for the gunner and a sight for the MG 34 machine gun. Harness straps are not included for the pilot or the passengers. Surface textures are really very nice. The fabric effect of the wings and other flying surfaces is particularly good, featuring subtle stretch and sag. All the control surfaces are separate and may be posed to taste. 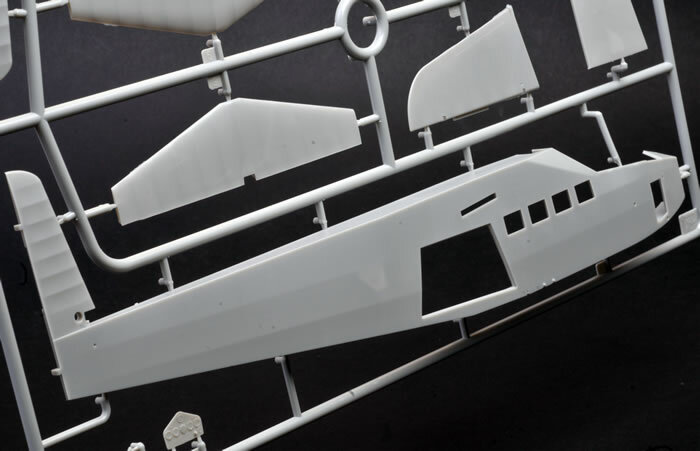 The fuselage windows are provided as separate clear parts. The canopy is broken down into three parts so the centre section may be posed open if you like. 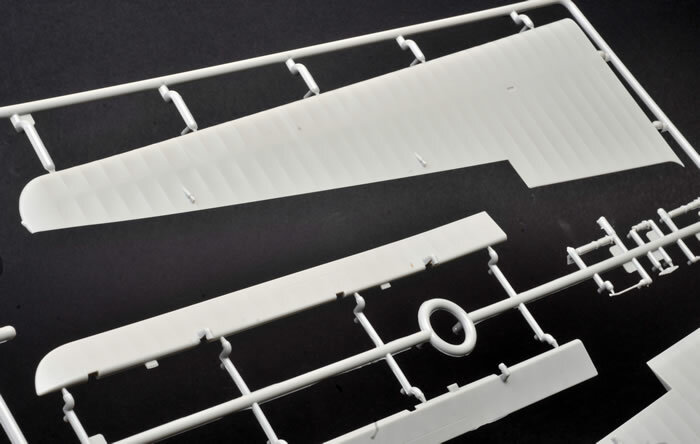 The jettisonable undercarriage may be fitted or omitted depending on whether the glider is to be depicted before take-off, in flight or after landing. 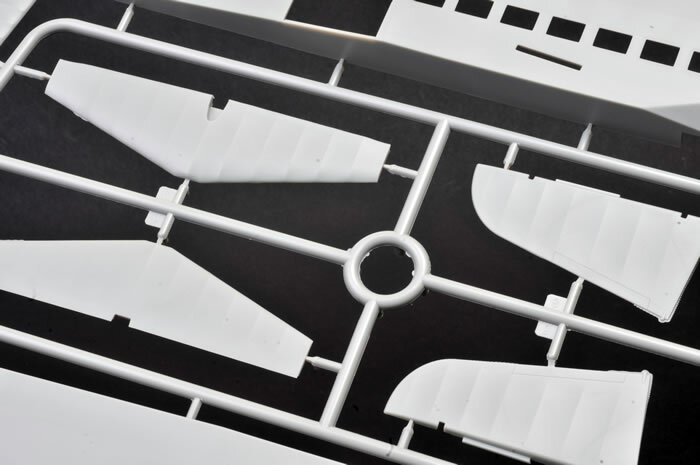 If you choose not to fit the wheels, you'll need to fill two small locating positions on each side of the lower fuselage. 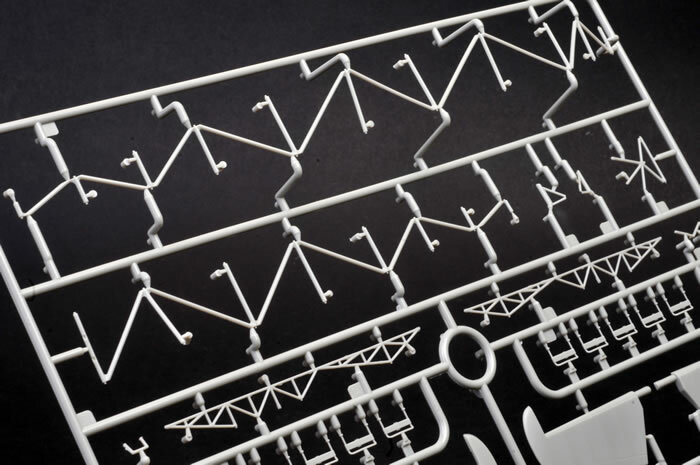 The relatively modest number of parts should result in a straightforward build. All the little assembly luxuries are present including stout slots for the long wings and locating holes throughout. 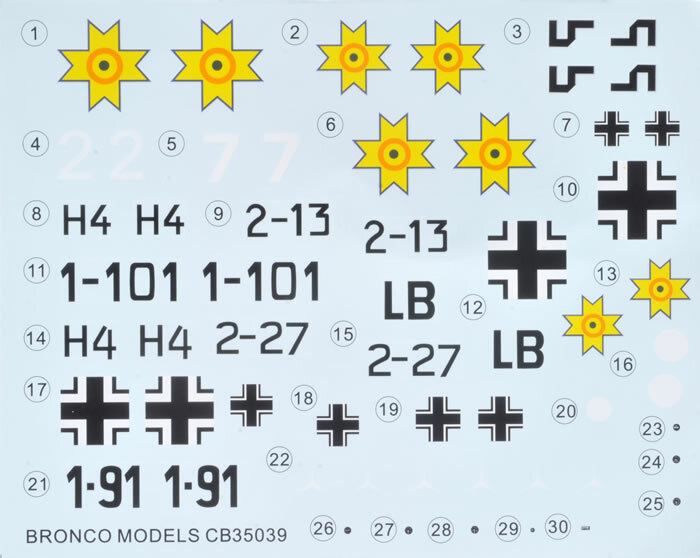 The decal sheet offers six options - four German and two Romanian. All six are finished in RLM 65 Light Blue lower surfaces with RLM 70 Black Green and RLM 71 Dark Green upper surfaces. 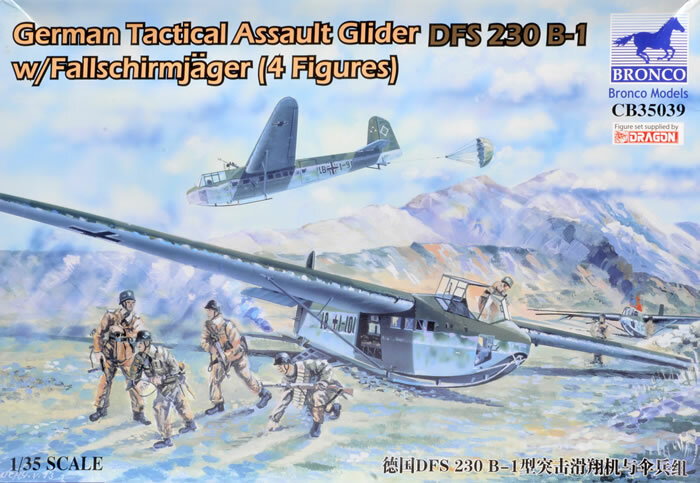 The four Fallschirmjager figures are from Dragon's Gran Sasso Raid figure set. Detail is good, although they date all the way back to 1998. 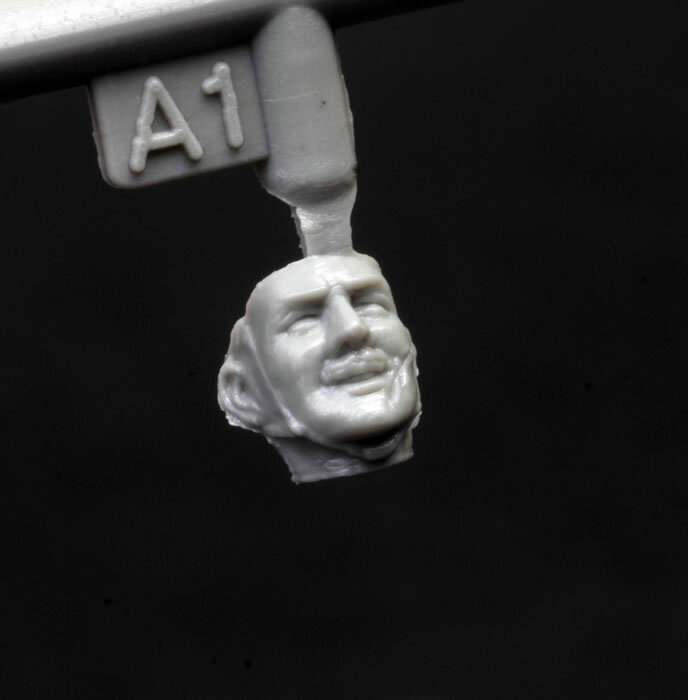 One of the figures represents Otto Skorzeny with his distinctive pencil moustache and facial scar. This is a very nicely done kit of an important assault glider. 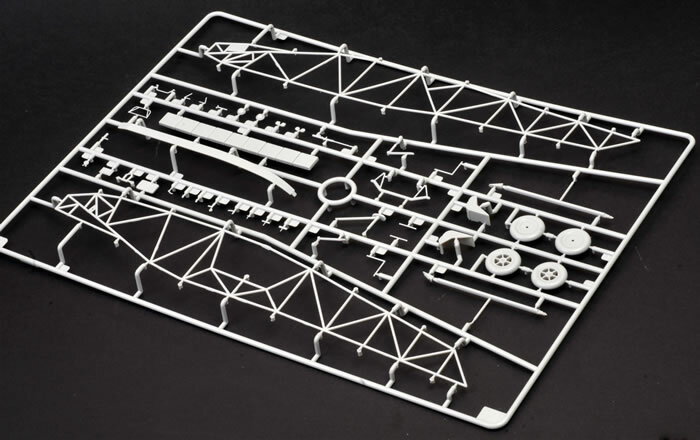 In 1/35 scale, it is an ideal crossover subject for military and aircraft modellers. 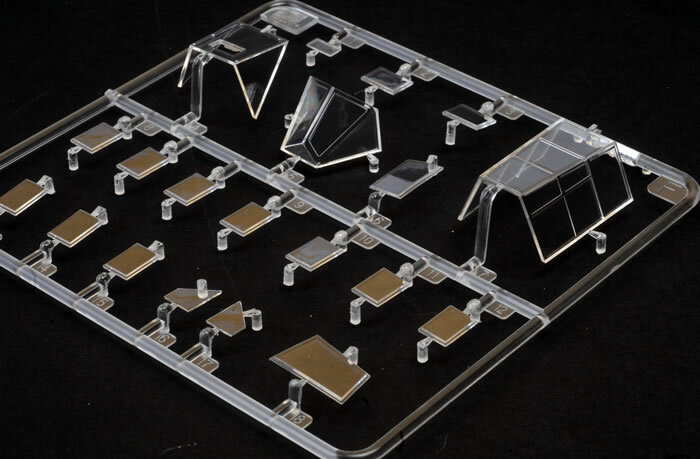 The finished kit will be impressive but not so massive to be unwieldy in assembly or impossible to display. It is a Goldilocks size - just right!